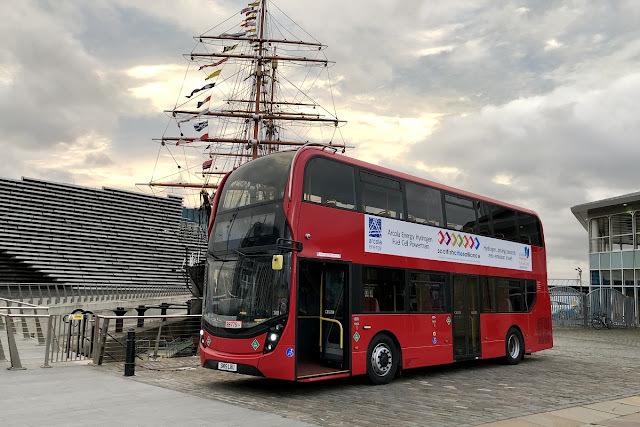 The image here taken by Andrew Macintosh, shows the prototype hydrogen fuel cell powered ADL Enviro400 during trials. ADL Chief Executive Colin Robertson said: “ADL continues to support bus operators across the UK by collaborating to develop new technologies that help achieve environmental and operational targets. Hydrogen fuel cell technology is part of the mix of solutions and we are delighted to now offer this option to the industry".